Bile acids (BAs) have received considerable attention as the key players of systemic metabolism. In the past, bile acids were known to play important roles in absorption of cholesterol, fat-soluble vitamins, and lipids. However, the new roles of bile acids as signaling molecules have been recognized in the last two decades because of discovery of bile acid receptors such as nuclear hormone receptor farnesoid X receptor (FXR) and the membrane receptor G-protein-coupled bile acid receptor 5 (Gpbar1, TGR5). As the metabolic regulators, BAs play pivotal roles in the regulation of bile acid, cholesterol, fatty acid, lipoprotein synthesis, glucose metabolism and energy metabolism. Therefore, BAs, bile acid derivatives, and bile acid sequestrants are potential therapeutic agents for treating a number of metabolic disorders, especially those related to the metabolic syndrome. 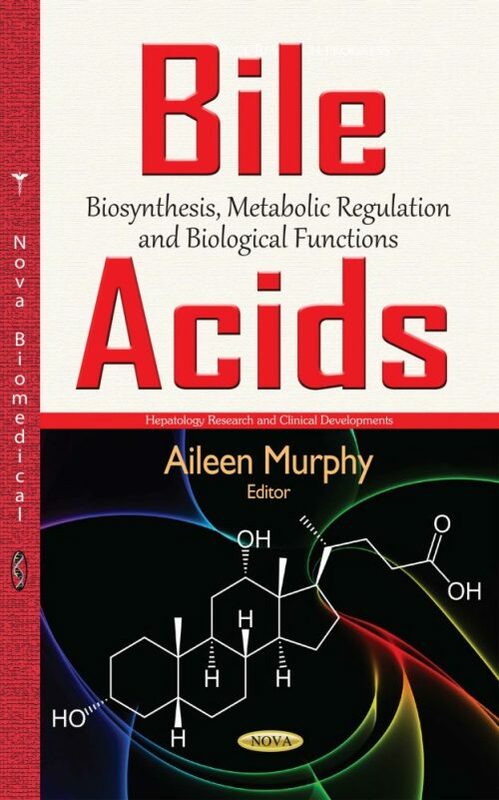 The first chapter of this book summarizes the basic information of bile acids but focuses on its new functions in different diseases. The next chapter discusses mixed micelles of bile acid salts and phospholipids starting from historical Smalls disc model up to the advanced version as “stacked disk” and “radial shell”. The final chapter studies bile aspiration as a host factor for modulating chronic respiratory infection.